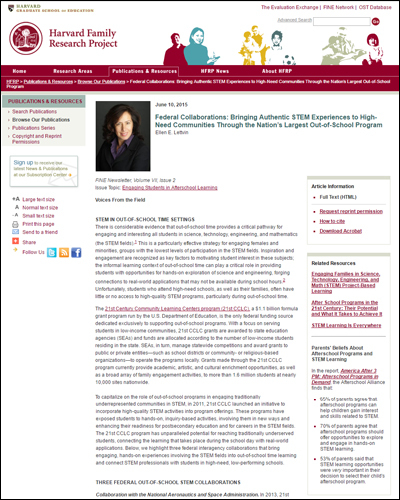 How can we support learners from under-served communities and populations underrepresented in STEM fields – such as underrepresented minorities, lower-income populations, and women? 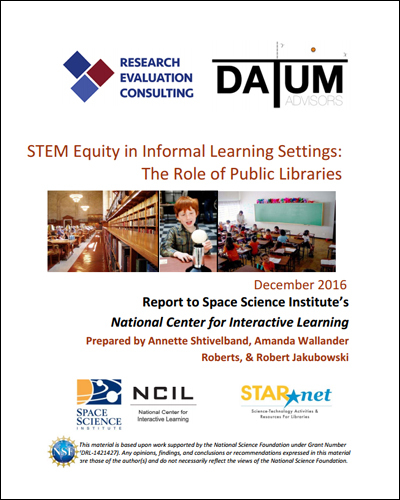 See below for lessons from various types of informal education institutions, including libraries and out-of-school time programs. 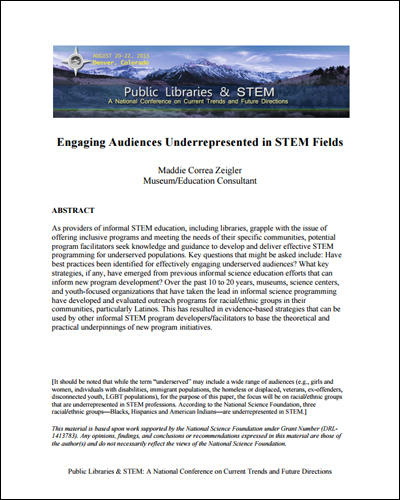 As providers of informal STEM education, including libraries, grapple with the issue of offering inclusive programs and meeting the needs of their specific communities, potential program facilitators seek knowledge and guidance to develop and deliver effective STEM programming for underserved populations. Key questions that might be asked include: Have best practices been identified for effectively engaging underserved audiences? What key strategies, if any, have emerged from previous informal science education efforts that can inform new program development? 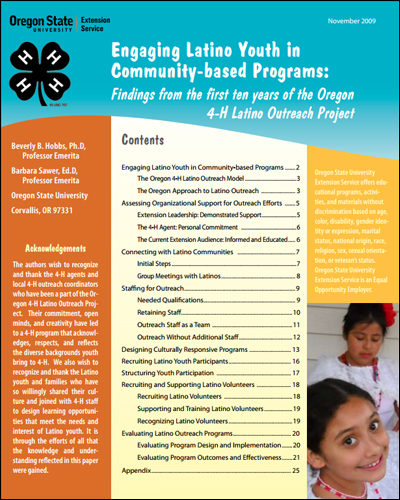 Over the past 10 to 20 years, museums, science centers, and youth-focused organizations that have taken the lead in informal science programming have developed and evaluated outreach programs for racial/ethnic groups in their communities, particularly Latinos. 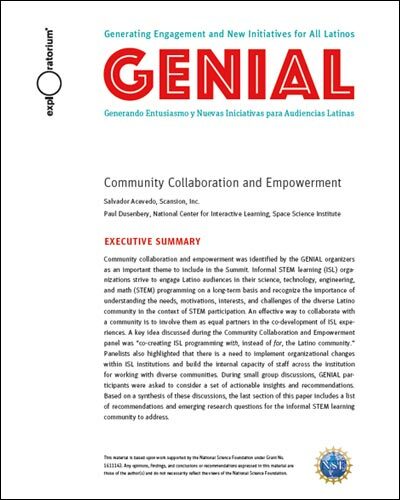 This has resulted in evidence-based strategies that can be used by other informal STEM program developers/facilitators to base the theoretical and practical underpinnings of new program initiatives.